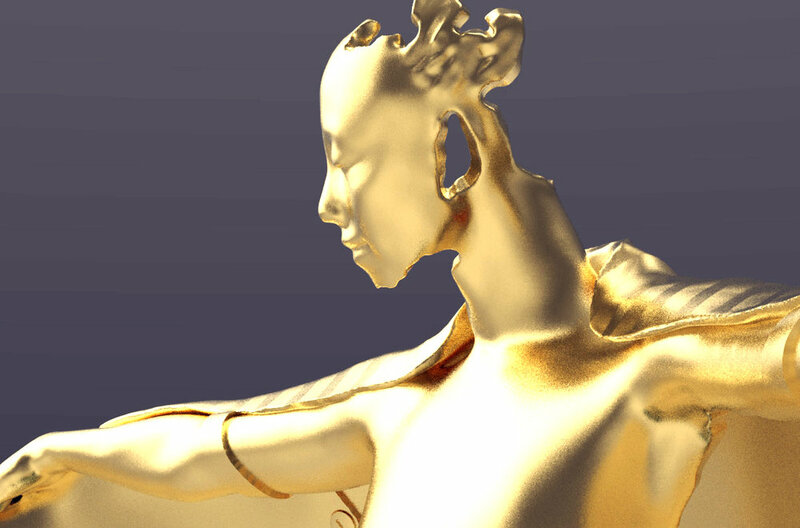 Award trophy design for an International Film Festival. Responding to a brief of an androgynous winged figure that is informed by the culture and traditions of the Festivals location and film culture. We began by fabricating bespoke wings of card, foam and fabric for local models after which we 3D scanned them in the established pose. 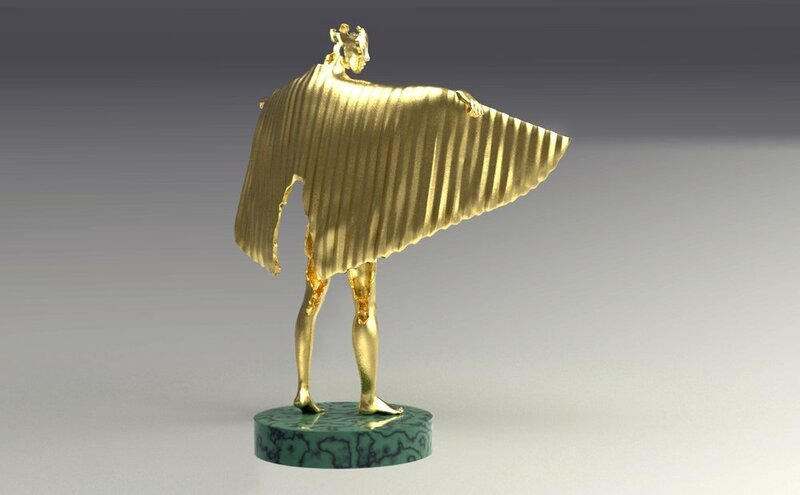 In CAD we blended the qualities of each individual togEther and further sculpted the assembled figure directly to produce the award below.